"EDM Presets Bundle" is a big and discounted collection of top EDM presets, inspired by the biggest artists and labels to-date. Inside you will find 193 Presets in total, including: Plucks, Leads, Bass, FX, Chords, Wobbles and even some Drums (kicks, percussion). As well, the pack contains 129 MIDI files, grouped into 42 Songstarter Kits, to help you kick-start your next production is seconds. Ultimate pack, stacked with all the ingredients needed to produce quality EDM sound. Look no further and grab this bargain, it will set you up for long term. 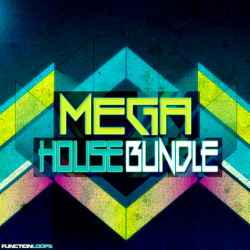 Included are "Mainroom House Presets" , "Sylenth EDM Presets" & "Sylenth EDM" packs. The main idea of this unique collection is to deliver you a sample pack loaded with Vocals Only, there is nothing else attached. What you get exactly is a huge amount of pure vocal loops and acapellas that are enough to produce a couple of albums easily. 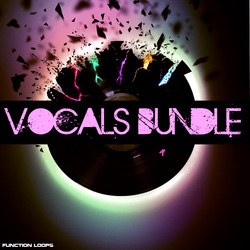 This bundle features both female and male vocals with three different vocalists. 'Vocals Only 2' is a collection that only contains vocal parts from 'Vocals With Lokka' volumes 1, 2 and 3, 'Key Labelled Vocals' and 'Voice Of Solace'. All keys and BPMs are listed, plus MIDI files for each Kit are included for more flexibility and ease of fitting the vocals in the mix. Each vocal loop and acapella comes in dry and wet versions. 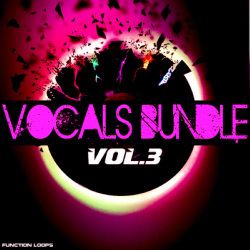 If you have not get a chance to purchase the full vocal packs from Function Loops and you are looking only for vocals, then this amazing bundle will serve your demands and will help you to fulfill your EDM dreams. 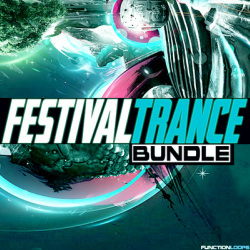 'Festival Trance Bundle' is a super pack offering three of the best selling Psy-Trance sample packs from Function Loops during 2013. Including 'Festival Trance', 'Sound Of BOOM' and 'Summer Trance', this discounted bundle will help you to setup for the indoor winter season, standing the standards of today's worldwide Trance festivals sound. As a bonus, you will also receive 'Freaky Vocals' pack of 300+ MB of extra vocal material. "Drums Bundle" is a versatile bundle, loaded with a wide collection of drum tools, served as 24-bit WAV one-shots. Including Kicks, Claps, Hihats and Percussion samples. This special bundle was compiled from Function Loops top selling sample packs: "Pure Tech Kicks" , "Layered Kicks", "Layered Kicks 2", "Layered Claps", "Layered Percussion" & "Layered Hihats". Packed with 430 designed and layered drum shots. In detail the pack contains: 220 Kick One-Shots, 100 Percussion One-Shots, 50 Clap One-Shots, 60 Hi-Hat One-Shots. Inside this discounted and special priced bundle, you will get all the pro tools needed to build your drums from scratch. Fits perfect for Mainroom House/Deep House/Tech-House/Minimal/Techno/Dubstep and more. 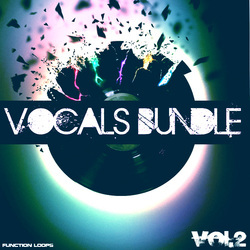 'Vocals Bundle Vol 3' features four top-selling Function Loops vocal sample packs in one special package. Inside you will find the 'Vocal Sessions with Brian Sonneman', 'Key-Labelled Vocals', 'Vocal Acapellas with Ariel' and 'Voice Of Solace' sample packs. This bundle has a massive size of over 4 GB of content including 24-Bit WAV loops and one-shots. Featuring female and male acapellas and loops, spoken phrases and sentences, single words and snippets and also musical loops like basslines, synths and drums in WAV and MIDI formats.If you are looking to add some of the quality voices of Function Loops talented vocalists into your music, then you are in the right place. "Key Labeled Vocals"/"Future Sound Of Techno & TechHouse"/"Deep & Soul"/"Deep & Soul: Midi"/"Mega-Bass 2"/"Electro Fusion"/"Pure Tech Bass"/"Pure Tech Beats"/"Total Techno & Tech-House Vox"/"Van Czar: Supreme Deep House"/"Pure Tech Kicks"/"Finest Progressive Melodies".Fits for Deep House, Tech-House, Minimal, Main Room, Progressive House, Complextro and for all the other sub-genres of House music. Just mix between the genres to get your own hybrid sound! 'Vocals Only' is a mega bundle of almost 2 GB of unique content containing only vocal loops and one-shots compiled from all the best selling vocal sample packs.Featuring both female and male vocals with four different vocalists. All keys and BPMs are listed, plus MIDI files for each Kit are included. 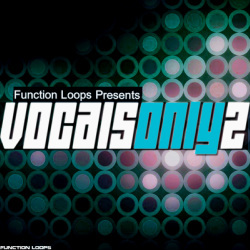 'Vocals Only' is a collection of only vocal parts from 'Vocal Sessions with Sasha', 'The Voice of Karin', 'Vocal Sessions with Brian', 'Vocal Acapellas with Ariel' and 'Vocal All Stars'. If you haven't got a chance to grab the packs before and you are just looking for vocals, this bundle is a one time investment that will set you up for the future. 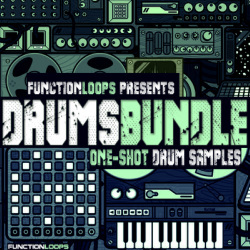 Collected are all the best drum elements from the chart topping sample packs, featuring "Techno Inside", "Future Sound of Techno & Tech-House" , "House Percussions 2" , "Layered Kicks" and a bonus folder of 20 extra kick one-shots. All content is recorded at 128bpm , that will give you maximum pleasure to mix between the sounds with no extra effort and get unique loops in minutes. You will find kick-only loops, top loops, stripped loops, full loops and kick one-shots. This bundle is a serious tool for building pro drums in your tracks. Drums is one of the most important elements in any kind of production, so you should take care of it before you move to the next level. 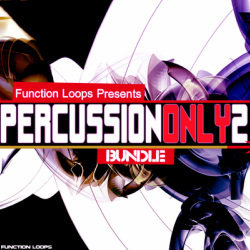 "Percussion Only 2" will give you an ultimate toolbox to produce your drums in style. Featuring 3 top notch vocal sample packs in one discounted, special package. 'Vocal Sessions with Sasha', 'VOX: Vocal Cuts 2' and 'Vocal All Stars' are included. Over 1.4GB of unique content, 683 files in total including WAV loops, WAV one-shots and MIDI files. You will find female singing, glitched loops, FX loops, spoken phrases and sentences, single words & snippets. Also instrument loops like basslines, synths, drums and everything else that you can hear in the demos. This bundle is a must if you are looking to spice your productions with some quality vocals and voices. Fits for a wide range of genres such as Tech-House, Mainroom House, Deep-House, Techno, Trance, Dubstep, Drum & Bass and more. 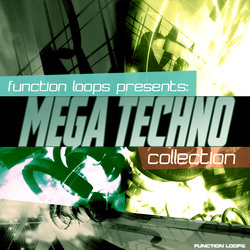 Super valued, mega bundle for underground Techno music production. In this outstanding sample pack you will get completely all the tools needed to produce top quality Techno with standards of today's fashion. Included are baselines, synthlines, FX, drums (full/top/kick only/stripped versions) & percussion loops, glitched vocals and a great amount of various one-shots (bass & synths), compiled from 'Techno Drum Box', 'Total Techno & Tech-House Styles' and "Techno Inside". Fits also for Tech-House & Deep-House production. This package is all you need to twist your next tracks and push them to the limit! Looking for fresh ideas and inspiration to help you produce professional sounding music? 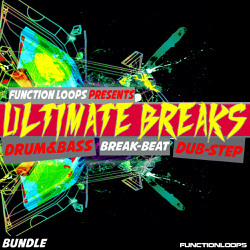 Function Loops compiled a smashing bundle for a very affordable price, including 542 loops and samples for Drum & Bass, Breakbeat and Dubstep production. Inside this collection you'll also find experimental directions and a mixture of styles including Electro, Complextro, Punk, and Glitch. Almost 600 MB of original and inspiring content including Basslines, Synths, Drums, Special Effects, One-Shots, Glitched Vocals and MIDI files. This bundle has been compiled from 'Electro Punk', 'FuturePUNK' & 'RAW & Uncut Drum & Bass' packs. 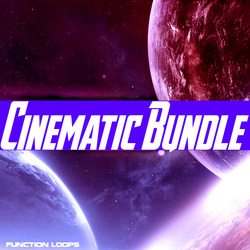 'Cinematic Bundle' is a catatonic collection of Cinematic elements, a cosmic journey through space and other dimensions, exploring outer space, deep ambiences, mysterious scapes, beautiful melodies and cybernetic special effects. You'll find a nice collection of downlifters, uplifters, rise-ups, impacts, explosions and another unidentified frequencies. A wide range of tools in one rocking pack of 600MB of content and almost 400 unique loops & samples. Inside this bundle you'll find a bunch of beats (kicks, percussion, hi-hats etc.) , bass loops, synth loops, glitched vox loops and some extra material like one-shots (vox and drums), midi files and effects. This is actually a mega bundle compiled from all the 3 parts of "Edvin Presents" series. So if you missed these ones, this a chance to get them all-in-one killer package. If you are serious about the quality of your groove, then for sure this pack will help you to get "that" plastic sound. All the loops are polished and ready to be dropped right away in any kind of low bpm productions. 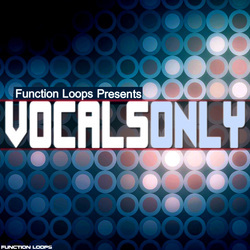 'Vocals Bundle' features three of the best vocal packs from Function Loops. Each pack has been a chart-breaking release. Inside this amazing collection you will find all kind of vocal loops and samples, like glitch vox, one-shots, male spoken phrases, single words, female singing, FX loops and everything else you need to spice up your next production with some top notch voices. This bundle includes over 500 MB of content and over 600 loops, you will get all the pro tools you were looking for, in one great vocal bundle! Packs included: "VOX:Vocal Cuts"/"The Voice of Karin"/"Radiophonic Voice Attack"
'PSYCHO: Psy Trance Bundle' is a mega collection packed with top quality and mind-expanding material. 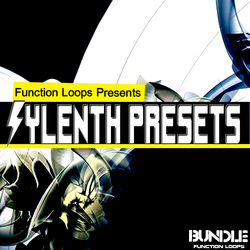 You'll find basslines, synth lines, effects, kicks, percussion, one-shots, presets for Sylenth1, MIDI loops and extra loops. It's all you need for your next Psy Trance production. This pack uses cutting-edge technology and unique tools you've never heard before. Also included is a bonus of 65 MIDI files from 'Progressive Trance Essentials' for maximum pleasure! Enjoy the ride! 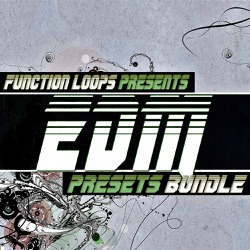 This bundle contains 220 presets, carefully programmed by Function Loops in-house professionals. A bonus folder of 45 MIDI files from the demos is included. Also, you will find four individual soundbanks. The package was produced for a wide range of genres such as Techno, Electro, Tech House, Mainroom House, Trance, Drum & Bass and more. 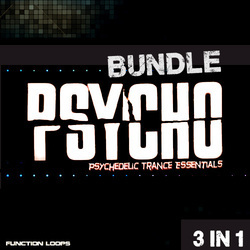 In detail, this bundle was compiled from 'Mega-Bass (Vol 1 & Vol 2)', 'Mainroom House Presets' and 'Psycho Presets Vol 1'. These presets perfectly fit all productions where a serious bass sound is needed, but inside you will also find leads, plucks, effects, and more. "Percussion Only" will give you all the solutions needed, to get 'that' groove. Mixing between the sounds, will bring you endless possibilities,to make your own unique loops. You can pick a Top from a specific loop , put it on another kick, add one more stripped version, and here we go - your new sample is ready! It's easy and saves time. Even if you are a pro, this collection is a good way to move quickly. Fits perfectly for House, Minimal, Techno, Tech-House, Prog-House and much more. It's some serious ammunition for your next track, so give it a try! 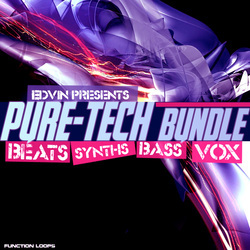 This bundle was compiled from "House:Percussions","Edvin Presents: Pure Tech Beats", "Total Techno & Tech-House Styles" & also included 10 new extra loops. 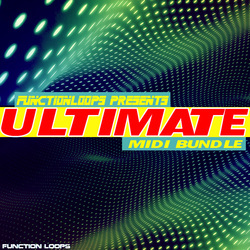 'Ultimate MIDI Bundle' is a massive collection of 425 MIDI files that were used to produce almost all of the Function Loops products to date. Sample packs like: "Mega-Bass", "BlackHole", "Deep&Soul", "PSYCHO" and many others. Also inside the bundle you'll get a bunch of new MIDI loops never heard before! In detail the pack contains: 30 Arps, 125 Melodies, 50 Riffs, 155 Synthlines and 65 Pads & Atmos for the extra touch. This pack is super useful for Tech-House, Electro, Trance, Progressive styles, Dubstep, Techno and more. This collection is compiled from Function Loops top-quality packs like 'PSYCHO Vol 1 & Vol 2', 'Twisted Reaction Vol 4', 'PSYCHO: Sylenth1 Soundbank Vol 1 & Vol 2', 'BlackHole Vol 1 & Vol 2, 'STARS' & 'Psy-Trance Kicks & Percussion'. Inside you will find kick loops, percussion loops, MIDI files, one-shots, soundscapes and psychedelic special FX to spice up your next production. 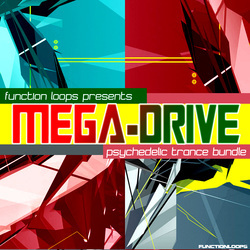 'MEGA-DRIVE' gives you all the tools to help you produce Psy-Trance for a couple of months in a comfortable and easy way. Function Loops already did the hard part of the job. Rolling basslines, screaming synths, door-breaking kicks & percussions, top-quality presets designed especially for Psy-Trance production. Cinematic intros & atmospheres to provide a necessary dynamic feel in your tracks and much more is packed inside. 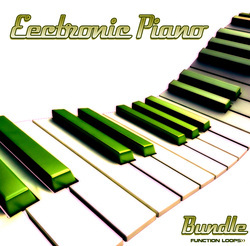 'Electronic Piano Bundle' is the ultimate package for Dance music production! Including styles like Electro House, Trance, Techno, Tech House, Dance, Progressive, Chillout and more, inside this massive pack you will find a huge collection of loops in WAV and MIDI formats. These sounds give you options and a free-hand to edit, change and remake the loops for your own taste! In detail, the bundle contains almost 1 GB of original content featuring 194 unique MIDI files (bass and melodies) and 233 WAV files (dry and wet versions for maximum flexibility). Being inspired by the biggest artists and recorded at top quality, using hardware gear like Virus Snow and NordleadX2, makes this bundle unforgettable!